Oshawa Firefighters shared a post. Have you thanked a dispatcher today? Today is a great day to say Thank You! . 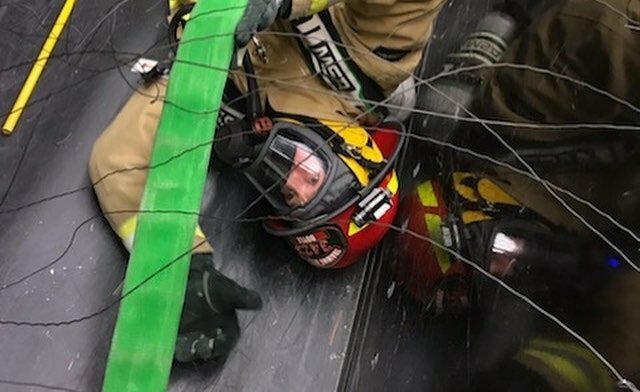 Last week three Oshawa Firefighters competed in the 3M Scott Firefighter Challenge in Indianapolis, Indiana at FDIC. .
Oshawa Firefighters shared a link. Thank you for being the calm, professional voice on the other end of the phone. These are just some of the professionals that work to ensure your safety. This week we recognize you and say Thank You! . CUPE members will never give up fighting for our incredible @RDParamedics and an exceptional #publicservice that all #DurhamRegion residents value and deserve! The Oshawa Professional Firefighters Association (OPFFA) represents the men and women that make up the Oshawa Fire Service. The Association has a long a proud history in the community of Oshawa. In 1936 the Oshawa Professional Firefighters became affiliated with the International Association of Firefighters (IAFF). The IAFF was formed in 1918 when 24 locals with 36 delegates representing firefighters from across North American gathered in Washington, DC. 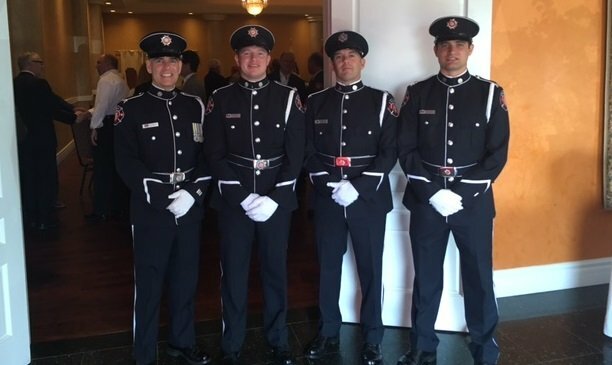 The first order of business for this group of firefighters was to adopt a constitution and bylaws then that was followed by decisions that included publishing a firefighting magazine, a salary structure for officers and creating a firefighters fund to benefit orphaned children of firefighters. The founding group of firefighters worked hard to unite in order to improve working conditions for the fire service which suffered form long working hours (84 hour work weeks), low wages, and minimal safety standards. This affected not only their own lives, but the service they were able to give to their communities. 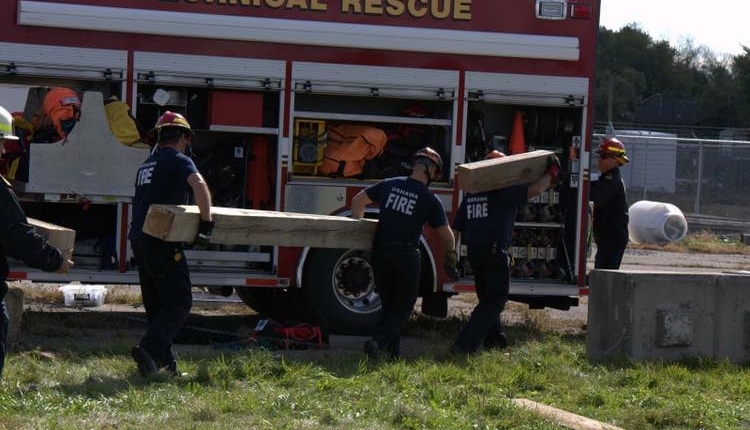 Over the years the IAFF has been instrumental in areas of occupational health and safety, working towards fire-based emergency medical services, hazardous materials training, RIT training and many more. The OPFFA, also known as IAFF Local 465 works to ensure that the firefighters that protect the City of Oshawa are treated fairly and with respect. The OPFFA represents members in all divisions of the fire department; Suppression, Training, Mechanical, Prevention and Communications. The OPFFA is also a member of the Ontario Professional Firefighters Association. The OPFFA is active in our community, the City of Oshawa, through the benevolent committee, that’s works to raise money each year through donations that can in turn be donated to support local charities and organizations. The largest event is the annual boot toll that takes place at the end of the summer at the Oshawa Center. The Association is run through a democratic process by the Executive Board that is made up a President, Vice President, Secretary-Treasurer, and Executive Assistant. Oshawa Fire Fighters would like to thank everyone who has supported our donation drives throughout the years. With the generosity of our friends, we have been able to provide the community throughout the Oshawa area with funds designed to help the public and Muscular Dystrophy Canada. Through our non-profit charity, Oshawa Fire Fighters continue to support local area programs and services as well as the MDC.